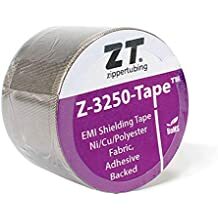 Heat Wrap - Thermal Wraps And Heat Reflective Tapes - Thermal Management - Products - ZT | Zippertubing Co.
0.25" 0.375" 0.5" 0.625" 0.75" 1.0" 1.125" 1.25" 1.375" 1.5" 1.625" 1.75" 1.875" 2.0" 2.125" 2.25" 2.375" 2.5" 2.625" 2.75" 2.875" 3.0" 3.125" 3.25" 3.375" 3.5" 3.625" 3.75" 3.875" 4.0"
Heat-Wrap® is designed for moderate-to-high-temperature, low-cost, heat-barrier applications. 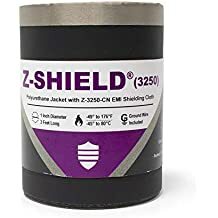 Heat-Wrap® utilizes a high-performance Acrylic adhesive-closure system that provides excellent bond strength when combined with either Zippertubing&apos;s highly-flexible ALS-5 or medium-weight ALP-500 jacketing material. The adhesive closure of this product provides not only a cost-effective solution, but is incredible easy-to-install on virtually any application. The adhesive has very good fluid resistance and will not degrade with exposure to ultraviolet light. Cable Diameter 0.25" 0.375" 0.5" 0.625" 0.75" 1.0" 1.125" 1.25" 1.375" 1.5" 1.625" 1.75" 1.875" 2.0" 2.125" 2.25" 2.375" 2.5" 2.625" 2.75" 2.875" 3.0" 3.125" 3.25" 3.375" 3.5" 3.625" 3.75" 3.875" 4.0"